Valentine's Day themed designs available as a large sticker or as a pack of small stickers, in a colour of your choice. Ideal for shop window displays, the stickers can be printed on static-cling film for ease of application and removal. Pack of 17 stickers in a colour of your choice. Sticker available in a selection of sizes, colours and materials. 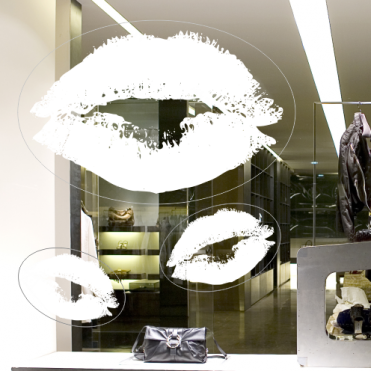 Wide range of lips and kisses Valentine's Day themed shop window stickers ideal for gift shops, jewellers and fashion outlets.